On Wednesday, August 1st, Portsmouth High School gymnasium will play host to the South Central Ohio 50 (SCOH 50) Girls Showcase. The man responsible for bringing this event to south central Ohio is Ted Pennington, the organizer and founder of SCOH 50 Plus. This event will feature high school girls’ basketball players and will give them the platform to showcase their individual and team play making abilities in front of college level coaches looking for their next recruit. Pennington works alongside partners Trey Sams and Brian Deer to help organize events like the one in Portsmouth to give local basketball talent the exposure necessary and give them every opportunity to play college athletics if they so desire. 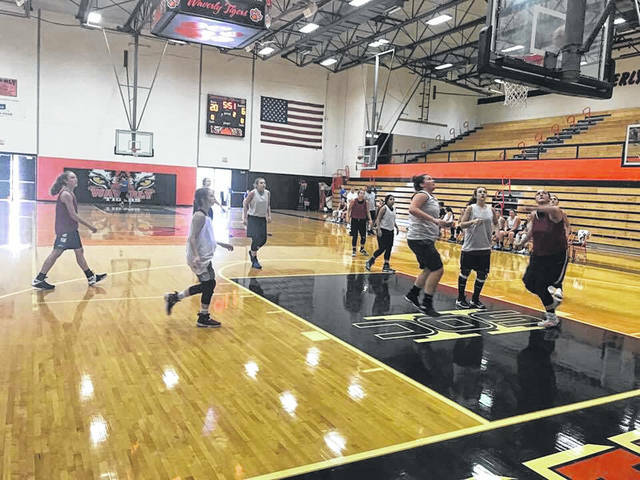 The trio also works with area girls on individual drills that may improve their skills and give them feedback on what they can do as players to take the next step. “We’re just in an area that we don’t get a lot of attention, media-wise, because there’s just a lot of rural schools” said Pennington, “That’s why we started SCOH 50, to help shine a light on kids in our area”. Interest in basketball at the youth level continues to increase as the professional game becomes more popular. Kids at the grade school level are told that in order to improve their game, their best path is to join a travel team that will give them the chance to play as much as they would like to. Pennington’s goal is to showcase these girls that have been working hard to improve their game and give them the chance to play at the next highest level in their playing careers. This year’s SCOH 50 Showcase will be the first to take place in Portsmouth, after the inaugural showcase was played in Waverly last year. Last year’s event was watched by representatives from eleven colleges and universities, from division two schools to JUCO (junior college) schools. Pennington says he expects there to be about eighteen representatives from schools interested in the local talent that the showcase has to offer. Pennington’s daughter, Alexa, has been one of the girls whose hard work has paid off in the form of a verbal commitment to Eastern Kentucky University as she enters her senior year at Eastern High School in Brown county. Pennington is constantly interacting with college coaching staffs he has developed relationships with through his organization, providing them with the information they may need to get in contact with any of the players they might be interested in. “If I’m talking about you and I know that you can play at that level” said Pennington, “then I’ll extend my list to all of these college coaches. I’ll send out my list twice a year that has names, contact information, and mine and Trey’s evaluations of these girls”. During next Wednesday’s event, those who have signed up will participate in individual skill drills in order to warm themselves up before the games begin in the afternoon. Once the games begin around noon, players will be given the same playing time as all other participants to ensure equal exposure among all players. Two, possibly three courts will be in use during next Wednesday’s showcase to ensure all sixty players are able to play equal time. “We give out packets with the players’ names, height, graduation date, high school they attend” said Pennington, “And if the player is a junior, we give out their personal contact information because on September 1st, colleges are able to contact high school juniors”. 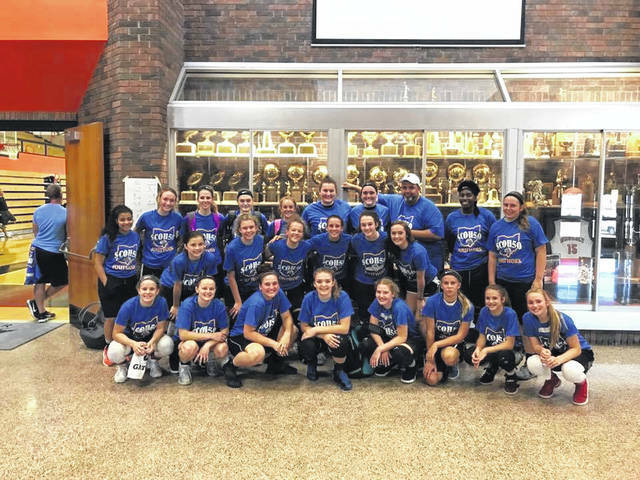 As of now, the showcase has had sixty girls sign up to play, but Pennington says that they would be willing to take as many as seventy girls if the interest is there. If you are interested in signing up, send an email to scoh50plus@gmail.com before Monday the 30th expressing your interest in signing up and SCOH 50 will send you a registration form. Campers in attendance will receive a t-shirt, lunch, and an individualized evaluation of your game.